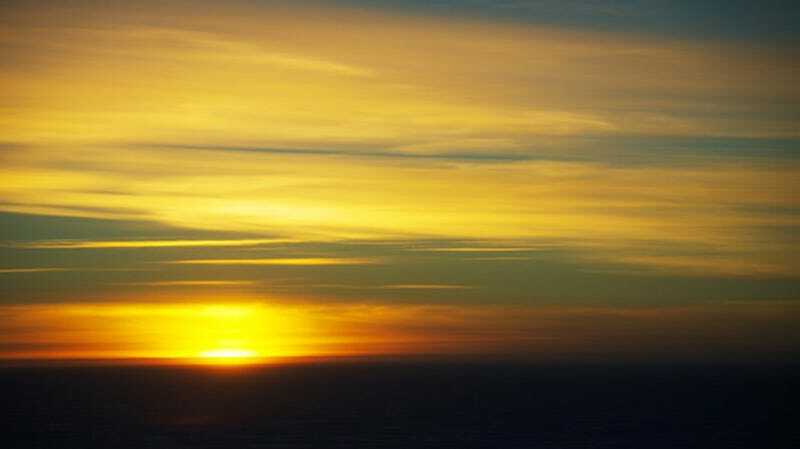 Snapped from Concordia Research Station in Antarctica, this is a photo of the last sunset the base will see for the next three months of permanent darkness. Concordia is one of three permanent research bases in Antarctica, from which crew members study glaciology, seismology, and astronomy. It's just about the coldest spot in the world—temperatures barely rise over negative 13 degrees Fahrenheit in the summer, and they can drop down to negative 112 in the winter, which begins in July and lasts until September. Concordia is also one of the most remote places in the world, 600 miles from the nearest humans at Russia's Vostok base.